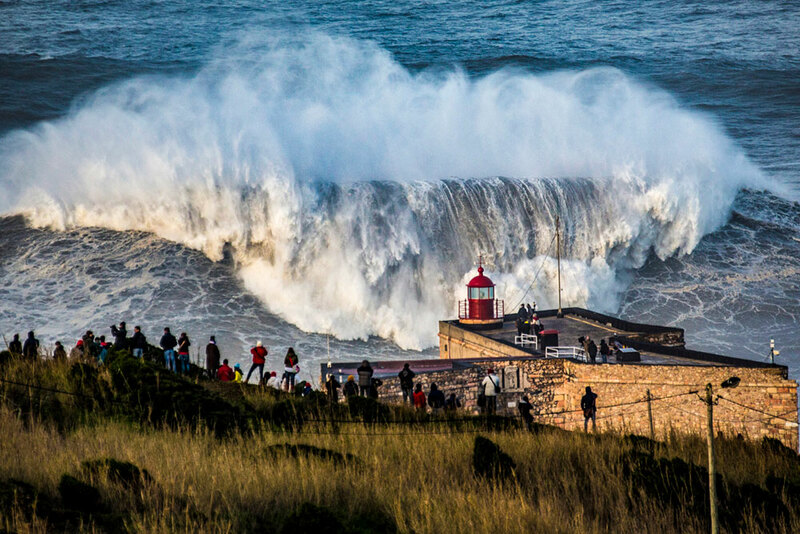 The world’s biggest waves in Nazaré. 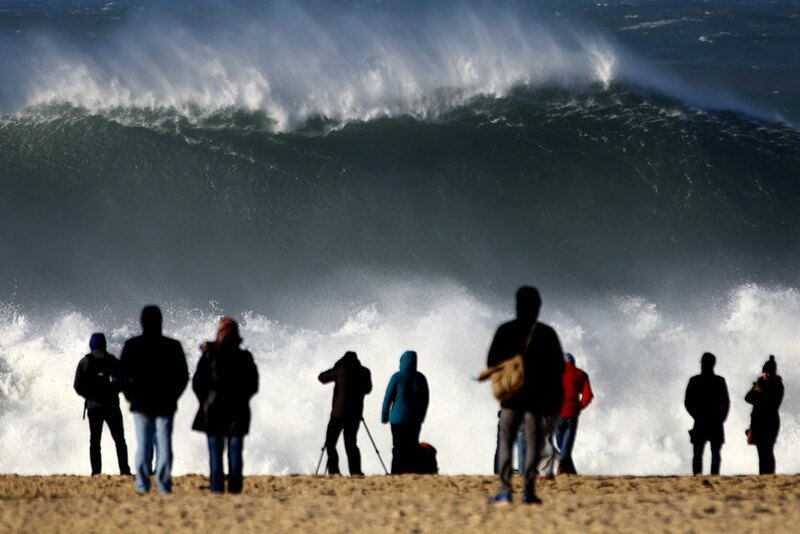 Big wave surfing is extreme in itself but the Nazaré wave seems to be unsurfable. No crystal-clear water of a turquoise blue, no bright blue sky and nicely tanned surfers in a tropical sea resort as you would expect from the usual big wave surfing pictures. 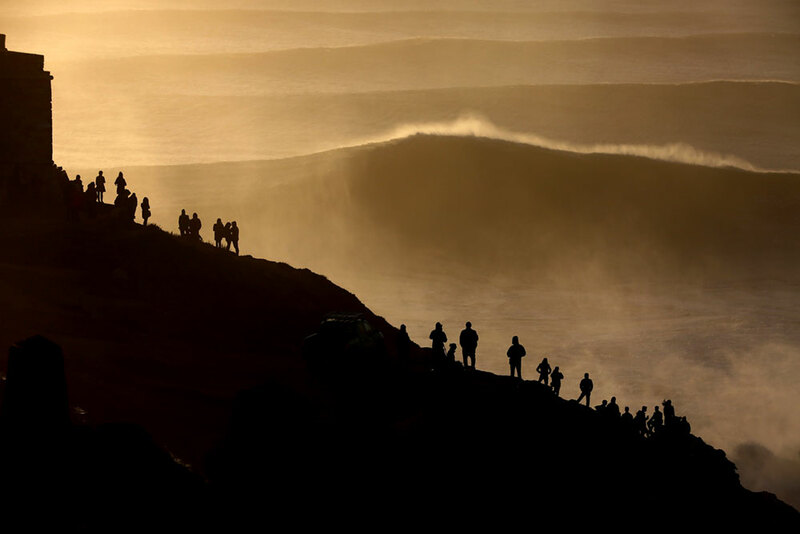 Instead: a dark, ice-cold, angry wave near Lisbon, without a name. 500,000 tons of threatening water chasing you with each wave. In 2010, the first pictures of the huge Nazaré waves began to circulate within the big wave community – and they hit us like a bolt of lightning: bigger and by far more dangerous, more unpredictable and more spectacular than any other wave we ever saw or surfed. Water walls up to 30 metres high – a new and mind-boggling dimension, directly on the doorstep of Europe! 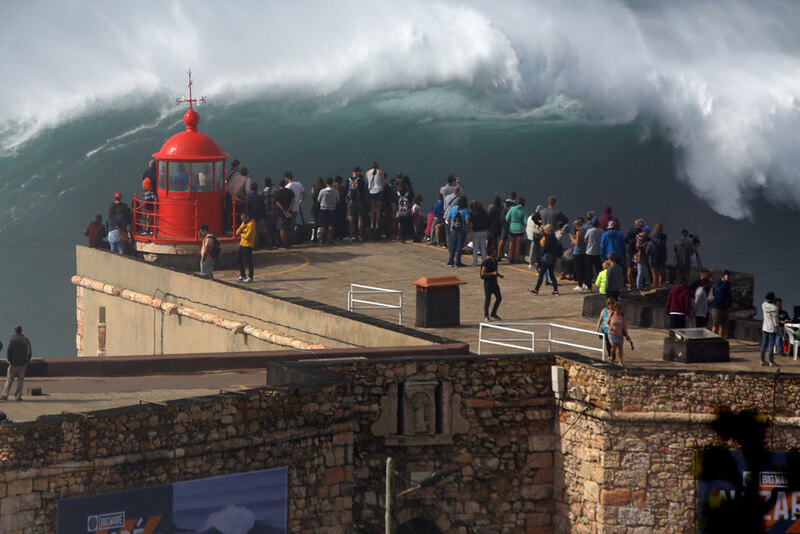 I felt magically drawn to this wave, especially when in 2012 I stood at the now-famous lighthouse of Nazaré for the first time. Then I knew that this wave would become the biggest challenge of my life, and that I had to surf it. 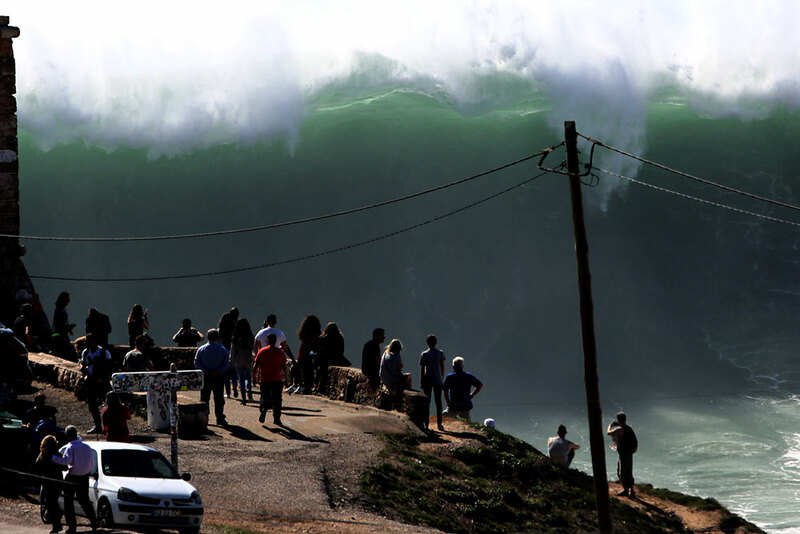 Big wave surfing in general and Nazaré in particular may appear suicidal but the point is definitely not death. Quite on the contrary, the point is life: an intense life, the experience of nature, and the shifting of standards through highest possible risk control. We big wave surfers are venturous crossovers, but never daredevils; to surf the big wave by team effort, to enjoy this breathtaking experience of nature, and to safely return home to our families – that’s what we want to achieve. 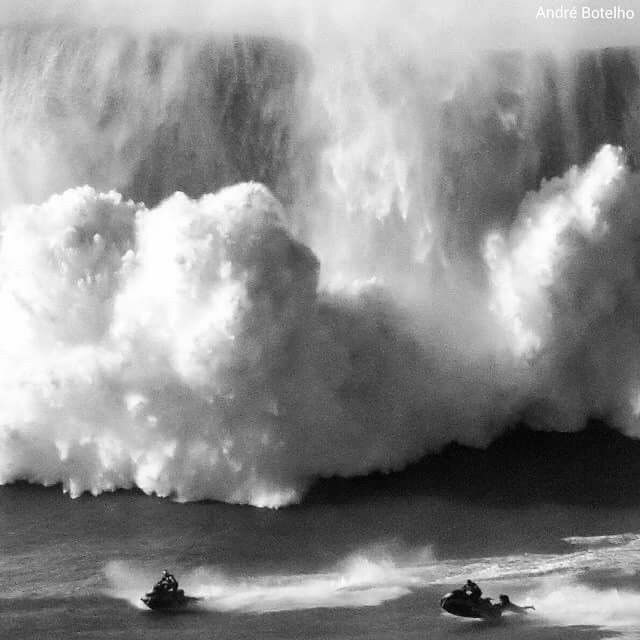 I have spent the whole big wave season 2017/2018 in Nazaré together with the world champions of big wave surfing to further decrypt this natural phenomenon, to set up safety concepts, and to further adjust our expertise to the complex challenges. Our level of knowledge and training has now reached a point where we can further shift the boundaries in Nazaré as of the season 2018/2019. Just like the ascent of an “eight-thousander“, this can be achieved only by the combined skills of a world-class team, which I succeeded to put together this year. 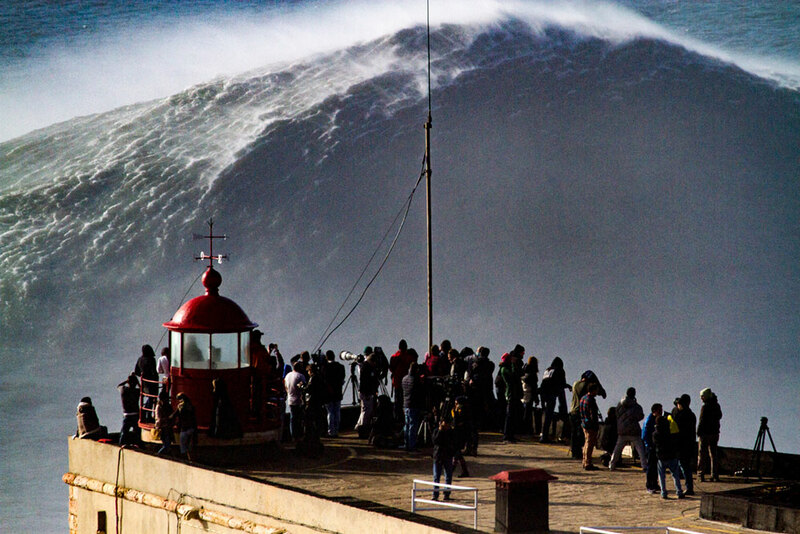 Riding the Nazaré wave is similar to the ascent of a mountain by an expedition team – a mountain which has been virtually discovered over night and is much higher than the Mount Everest; this mountain being not in the Himalayas, though, but just around the corner of a European metropolis. The fist ascent of Nazaré has already been achieved, but the most difficult and spectacular routes still need to be walked. I will walk these routes and I will ride the “first peak“ in Nazaré when the wave is bigger than ever before – as an Austrian! Together with my team, I will illustrate our exciting journey to the big waves, the staggering training (surfing and swimming, jet ski driving, rescue techniques, apnoea exercises and so on), the technology required for this kind of surfing (jet ski and board constructions, radio transmission et cetera), and the amazing comradeship among the big wave community. With the help of photographers and filmmakers we will generate striking pictures. We will achieve the impossible. In Nazaré, where limits are no limits and where the most inadequate landscape will become the new stadium of modern times.